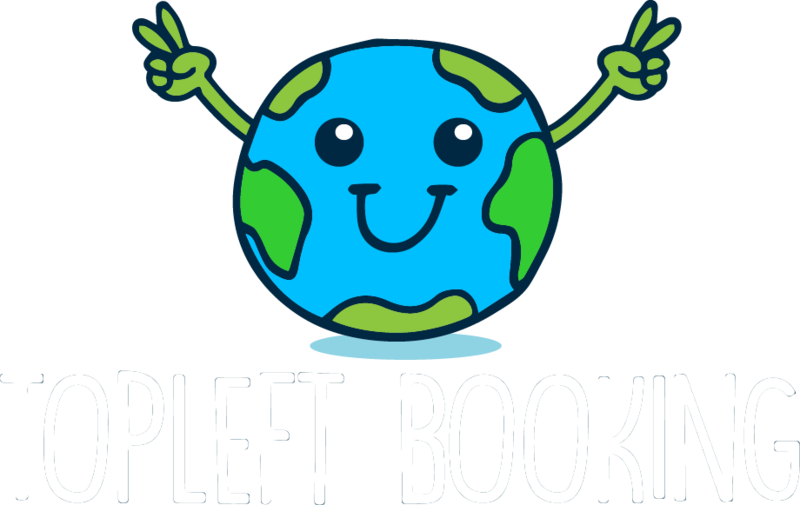 In order to use the Services you will need to create an account with topleftbooking.com. When you create a new account we will ask you to provide certain information about yourself, including your e-mail address, first name, artist name, last name, credit card information, billing address and location. You will also be asked to create a password. We use PayPal and Stripe as our third-party payment service providers. Top Left Booking utilizes Google Analytics Demographics and Interest Reporting to collect non-personal information about you in order to improve the quality of topleftbooking.com. The type of information that Google Analytics collects from you includes demographics information, interest reporting, general user activity, IP address, browser type, mobile device used, mobile device identifiers and other data collected from your device. For more information about how Google Analytics processes information, you should visit www.google.com/analytics. Top Left Booking utilizes Google AdWords Conversion Tracking. Conversion tracking allows us to find out the number of users that have accessed topleftbooking.com by clicking on a Google advertisement, but it does not give us any information that would allow us to identity these users. For more information about how Google AdWords Conversion Tracking processes information, you should visit adwords.google.com/home. Top Left Booking utilizes Facebook Pixel. This tool provides us with information about the actions of users after they are redirected to a website by clicking on a Facebook advertisement, but it does not give us any information that would allow us to identify these users. For more information about how Facebook Pixel processes information, you should visit www.facebook.com/policies/cookies. Our mailing list is managed through MailChimp. You may unsubscribe from the mailing list at any time by clicking the “unsubscribe” button at the bottom of the e-mail. We may use the information we collect from you to help us develop and improve our Services, customize advertising to your preferences, send you e-mails and newsletters, and support internal functions, such as auditing, data analysis, research, and quality management. Additionally, we may disclose the information we collect from you to the contractors we use to support the Services, in the event of a sale, merger, liquidation, dissolution, reorganization, assignment or other transfer of ownership, to respond to law enforcement requests where required by applicable laws, court orders or governmental situations, or in situations involving harassment, “cyber bulling” or threats to the physical safety of any person. You should remain aware that any information you share online is not completely secure and it is possible that your information may be accessed by others. While we will do our best to protect your privacy, we cannot guarantee your online safety or security or that others won’t try to access your personal information. We are not responsible for the actions of those who obtain you information in this manner. Any transmission of information on or through topleftbooking.com is at your own risk. Topleftbooking.com is hosted by BlueHost. BlueHost’s servers are located in Provo, Utah. By using the Services, you agree that the handling of your information will be protected in accordance with United States law. Please be advised that the level of protection that is legally required by the United States may not be the same level of protection that is required in other countries. Top Left Booking will not knowingly collect personal information from anyone under the age of 13. If we become aware that a child under the age of 13 has provided us with personally identifiable information, we will delete such information. If you are a parent or legal guardian and you become aware that your child has provided us with personally identifiable information then you should notify us so we can delete your child’s information from our records.